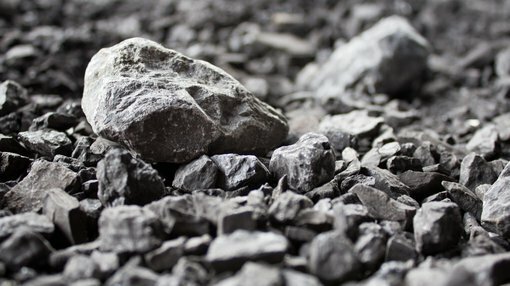 Castillo Copper Limited’s (ASX:CCZ) has reported that rock-chip assay results from the Broken Hill project infer polymetallic mineralisation potential, building on the company’s initial cobalt focus. Factoring in historic assay results of up to 17.7% zinc, 12% copper, 8.2% lead and 1,200ppm cobalt, and changing market dynamics, CCZ has broadened its focus at the project to polymetallic mineralisation. A follow-up site visit by the geology team to the “Area 1” prospect, which is on the western border of the Broken Hill project, indicate the ground has potential for polymetallic mineralisation, and therefore warrants further scrutiny. Assays from 106 rock-chip samples from outcropping Himalaya Formation returned excellent results with up to 1440ppm cobalt and 23,700ppm copper within an anomalous zone within the “Area 1” prospect, as outlined in the map below. With fewer than 500 historic surface geochemistry samples located across CCZ’s entire tenure (117km2), which remains largely underexplored, there is upside potential to discover ore-grade polymetallic mineralisation. From here, CCZ’s next steps involve a field trip to commence incremental detailed mapping and further surface sampling across known and prospective targets in order to boost the geology team’s understanding of the polymetallic mineralisation potential within the tenure. CCZ Chairman Peter Meagher commented: “The rockchip assay results from the “Area 1” prospect, especially 1,440ppm cobalt and 23,700ppm copper, clearly underscore the potential exploration upside for polymetallic mineralisation. 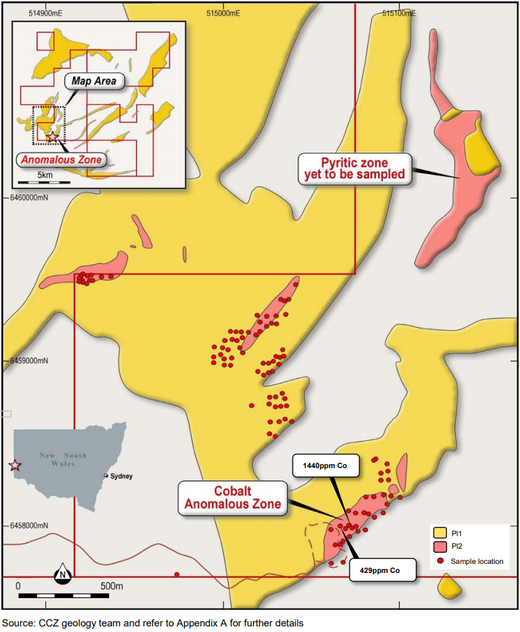 “Having reviewed legacy assays and changing market dynamics, the Board has decided to broaden the exploration focus at Broken Hill from cobalt to include copper, zinc and lead mineralisation, given CCZ has full mineral rights and owns the tenure outright.